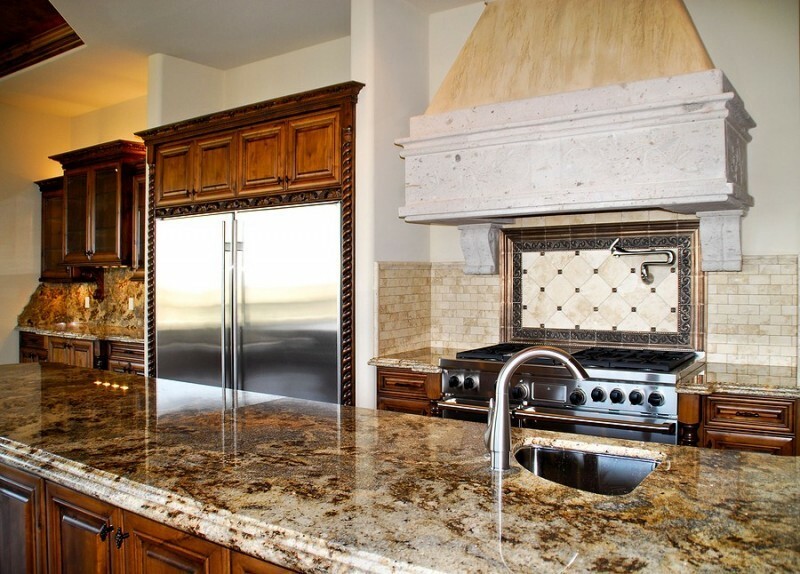 Are you a fan of granite countertops? Well, you’ll love the granite countertops fabricated and installed by Atlantic Countertops! 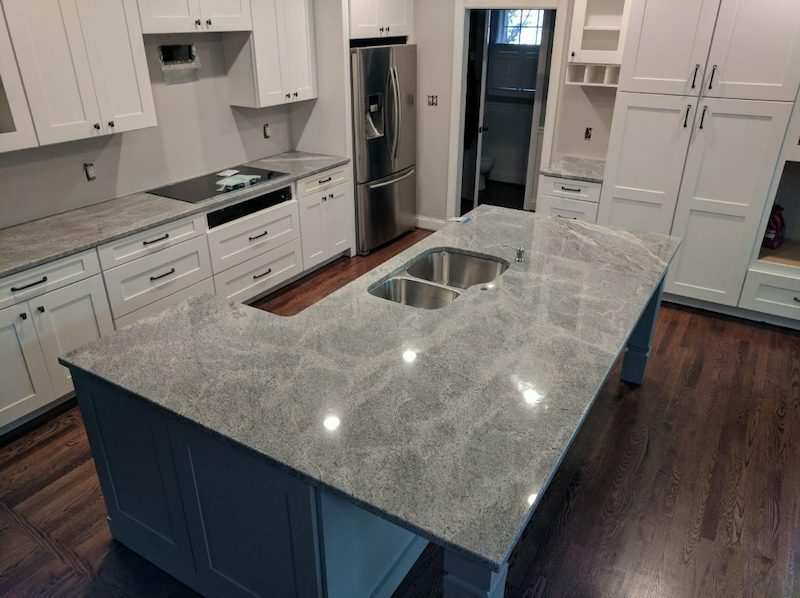 We have installed granite countertops all over Raleigh and surrounding areas, such as Cary, Chapel Hill, Durham, Garner, Knightdale, Morrisville and Wake Forest. Only Atlantic Countertops offers the expert fabrication and installation needed for exceptional looking granite countertops in your home. You shouldn’t accept anything less than perfection for your home. Raleigh granite countertops by Atlantic Countertops are a cut above the rest. Granite is a great choice for a countertop, particularly in the kitchen or bathroom. Only granite provides such a level of unrivaled natural beauty and durability, which is why granite used to only be seen in palaces and mansions. 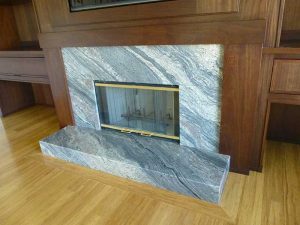 Now you can have the luxury of granite in your own home, but it does come at a cost. That can only come from nature itself. Black, blue, green, pink, gray, beige, brown, and many more colors are available, combined with an array of natural patterns. Your design options are very far from limited in regards to your countertop. Because granite is formed in nature, no two slabs of granite are ever going to be exactly alike. It is this aspect of natural stone that appeals so much to many homeowners. Atlantic Countertops has installed hundreds of granite countertops in Raleigh and all over the Triangle area, and each installation is unique. From the dimensions of the stone to the stone itself, not much is going to be consistent between jobs other than the job itself. It is the sheer uniqueness of granite, along with the incredible durability and beauty of this natural stone that contributes so much to increasing the resale value of a home. Granite provides the best of both worlds; unmatched durability, higher resale value for the home, and just incredible beauty. Scratch resistance is popular characteristic of granite, and a very desirable one for any homeowner. The downside to this is that you can quickly dull kitchen knives on granite countertops, so make sure you use a cutting board at all times, for the sake of your knife and countertop alike! It would be unfortunate for your new expensive countertop to ruin your nice expensive knife. Why do people in Raleigh like granite countertops in their home? Since it is one of the hardest natural stones readily available, it is highly resistant to scratching and staining. Granite countertops are also extremely easy to clean. All that is needed is warm water and a mild detergent. Though depending on the stain, you’re safe to use pretty much any detergent on it without affecting it too bad. These are just a handful of reasons why granite is a very popular choice for the kitchen. Granite also provides one of the largest selections of colors, patterns and designs. There are an infinite number of patterns, veins, pits, specks and swirls in granite countertops providing a uniqueness unmatched by other countertops. You really will never find two pieces of granite that are identical. First of all, granite can be sealed and we recommend that you re-seal your countertop at least once a year with a high-quality penetrating sealer. This truly only takes around 15 minutes and protects your countertops, preserving its natural beauty. If a stain appears on your granite countertop, chances are it can be semi-easily removed. Granite stain removal, however, is not a DIY kind of thing. If you do get a bad permanent stain on your granite, please feel free to contact us to have your granite countertop professionally repaired and resealed. Use a clean dry cloth for best results. Clean stone surfaces with a neutral cleaner, such as mild liquid dishwashing detergent and warm water. Rinse the surface thoroughly after washing with the soap solution and wipe until dry with a soft cloth. *Do not use any products with acid, lemon juice or vinegar to clean your granite countertops. Re-seal granite at least once a year. Sealers are available for purchase at our showroom or at home improvement stores. Granite isn’t very cheap. 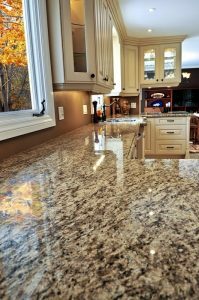 If your heart is set on granite countertops, but you still have some concerns involving the cost, we can offer you several recommendations that will help to lower the expense. One way to decrease granite costs is to be selective on where the granite is imported from. For example, a lot of experts can agree that purchasing granite that is imported from Italy will be on the more expensive side. On the other hand, purchasing granite that is imported from China is less expensive and will ultimately save you money, though your quality may suffer as a result. Cost is one thing about granite countertops that can still be a problem for some consumers. If granite countertops are just out of your price range, you can always hold out hope for the future. For example, it is often seen with a variety of products, as their popularity rises and the quantity and demand of the product increases, the price tends to drop lower. In addition to this, new quarries are being discovered each and every year, only adding to the total global supply. The increase in product choices and quantity of raw materials help keep prices down. In the mean time, we offer excellent selections of laminate and solid surface countertops that look beautiful and are very budget-friendly. One more thing to think about – your custom granite countertop from Atlantic Countertops will add value to your home. 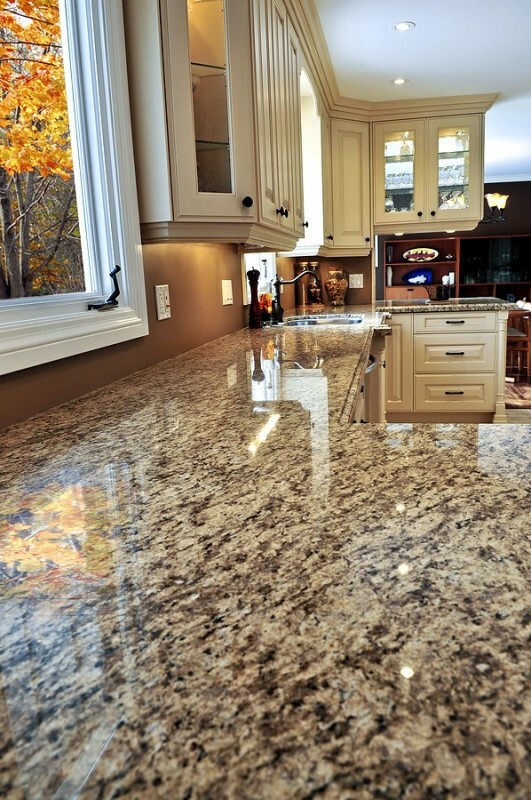 Beauty, durability and financial sense make granite countertops in Raleigh a superior choice.